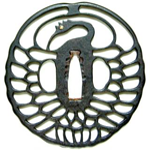 Hello all, I'd like to learn more about a tsuba that has been in my family for years, well before WW2. The text is hard to read much less photograph, but I've done my best. Does anyone recognize it? I'm most interested in how old it is and who made it. Thanks in advance for any info you can supply! Please sign all posts with your first name plus an initial as is requested here. You can add your signature to your profile. Your TSUBA is from CHOSHU province, but I can't read the maker's name, sorry. Thank you all, and thank you Jean for correcting my faux pas. Do any of you have suggestions for making the engraving easier to read? Thanks raymondsinger! So Choshu Hagi refers to where, yes? Why is the maker Kawaharu/Kawaji two separate names? Sorry for the basic questions, but I'm very ignorant about this stuff. Hell, my family thought it was some sort of trivet for decades. Hagi is the town in Choshu province. Some kanji can have more than one reading. So that kanji can read haru or ji, making his name either Kawaharu or Kawaji. Research is needed to determine how his name was pronounced. 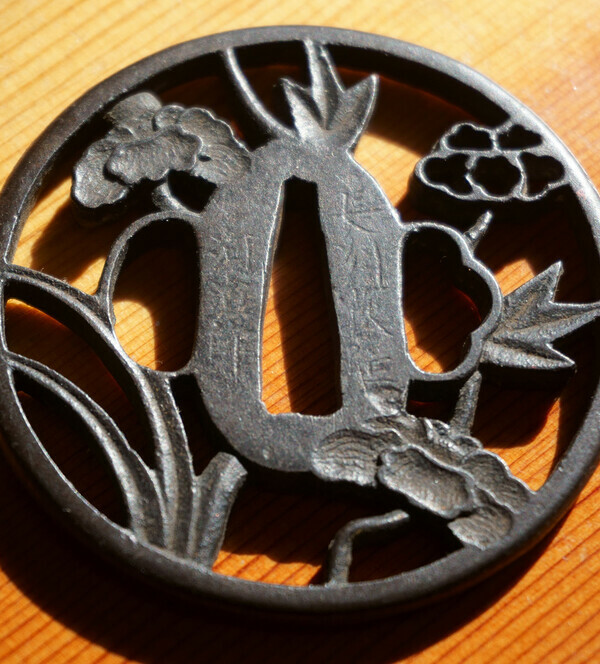 this is a nice and well preserved TSUBA although it is a bit dusty. You can wipe it with a soft tissue and a very small amount of Camellia oil (or any other household oil), but please refrain from any attempt to "improve" the signature as this will damage it and reduce its historical and monetary value. 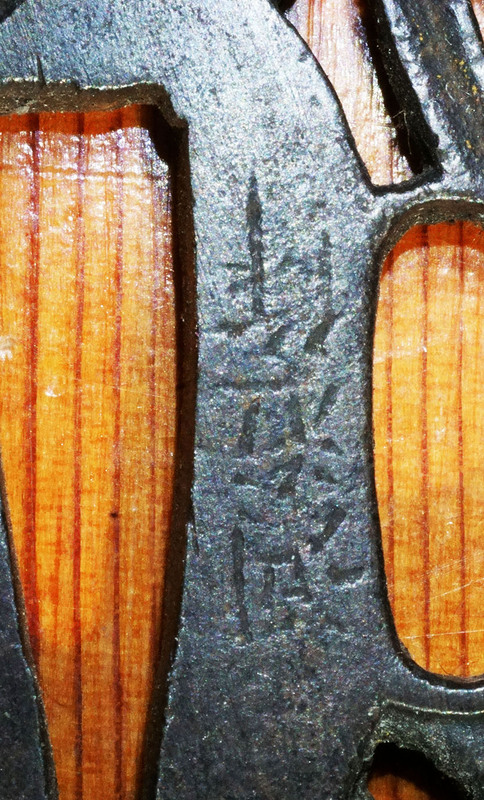 Iron TSUBA may be handled without cotton gloves, as this will not damage the patina.